A pair of Dave Matthews Band fans ended up having quite a unique experience this past weekend on their way to see the band play a show at Hershey Park on Saturday night. Emily Kraus and her boyfriend were driving to see the show on Saturday afternoon when they noticed a bicyclist stranded with a flat tire on the side of the road. They turned around to help. As they got closer they noticed the bicyclist wasn't just any random person, but Dave Matthews himself out for a pre-show ride. Matthews was without a cell phone, but they had a bike rack and gave him a lift to the arena. Grateful for the help, he invited the two backstage for dinner and photos, but set them up with front row seats. It is not an experience they'll forget. An Excessive Heat Warning is in effect for Philadelphia and immediate surrounding counties through at least Wednesday night. We are just at the beginning of a Heat Wave that will last through the beginning of the weekend with Temperatures into the mid 90's and heat indexes above 100. Nighttime lows will only drop to 80 or so. Make sure you limit outdoor activity in the afternoon, drink plenty of water, and check on the elderly and young. 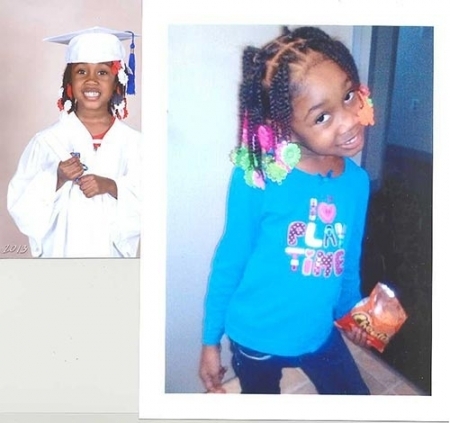 Philadelphia Police are looking for a missing 5-year-old girl last seen with her Aunt. Police report that the girl, Aniyah Clark, was picked up by her aunt, 23-year-old Danisha Stokes, on July 9th at her home on the the 1900 Block of N. Woodstock Street. She was supposed to return Friday, July 12th but has not shown up. Aniyah is described as an African-American girl, 3 feet tall, 33 pounds, with braided hair. She was last seen wearing a blue jumper with red and pink sneakers. (see picture below) Danisha is from the 2000 Block of North 21st Street and is known to frequent the Upper Darby area and may be in the company of Bruce Davis a 33-year-old male from Chester, Pa. Anyone with information on the whereabouts of Aniyah is asked to contact Central Dective Division at 215-686-3093 or dial 911. Mostly Clear, Warm, temperatures in the upper 80s this evening in Center City.